I’m currently at the Penn State – University Park campus for a series of meetings. 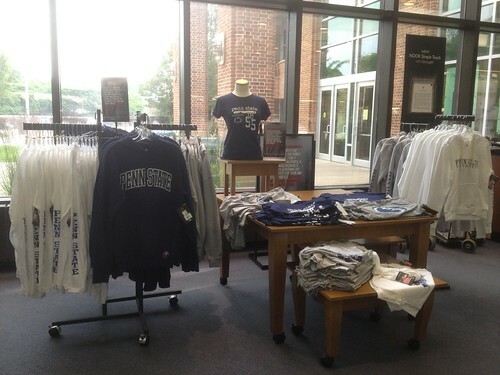 I had a chance to stop by the campus bookstore in the HUB, and look what I saw. Above: Every shirt in this photo is an Alta Gracia shirt/sweatshirt. 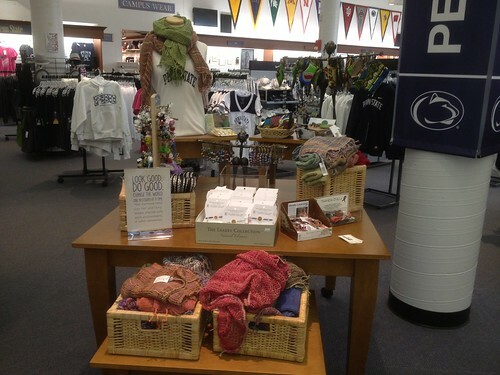 Below: A section of Fair Trade artisan goods for sale.